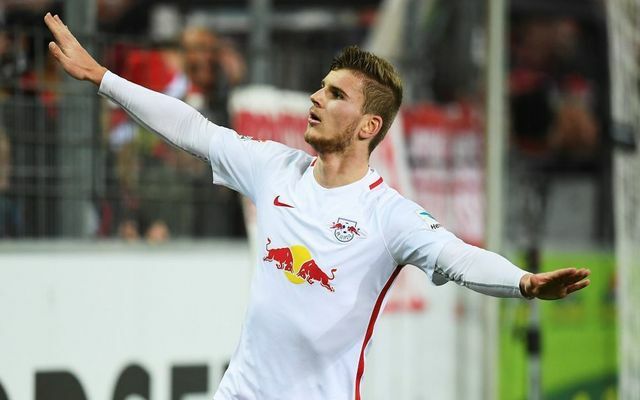 Potential Liverpool target Timo Werner will be sold in the summer if he doesn’t extend his contract. Werner’s contract expires in 2020, so his club will cash in to avoid the possibility of him departing on a Bosman. The 22-year-old is being considered by Liverpool, who according to the Metro, could pick him up for just £36m at the end of this campaign – a serious bargain considering the goals he’s already plundered at such a young age. Werner has 11 strikes in the Bundesliga this season and is an automatic starter for Germany as well. If the likes of Divock Origi, Daniel Sturridge and Dom Solanke end up departing, we’ll very much need to bring in a replacement – even if with Mo Salah as a no.9 and Roberto Firmino a more withdrawn no.10 – we look terrific. Bayern Munich will naturally be competitors for Werner’s signature, as they are with all the best young German talent, but Jurgen Klopp has showed on multiple occasions an ability to sell his Liverpool project to the most coveted names in Europe.